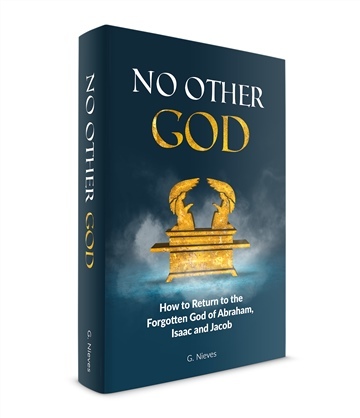 This is an amazing book that is written masterfully and uses God's word to reiterate that we have only one true God with a son Jesus and who sent his Holy Spirit to guide us on earth. The writer utilizes scripture for her points and effortlessly weaves them into her words. She shows her courage and faith in God to write on a controversial topic that is needed now in our time of strive in the world. Great job! G. Nieves has been a student of theBible as far as she can remember. She is a passionate researcher of Scripture and religious history and loves to get to the root of current beliefs and ideas, why people believe what they do. She has found that many Christian customs and concepts don’t have a biblical foundation. For this reason, her research has led her to challenge the status quo on many occasions and this book is no exception. Who is God and what does He want from us is the question that drives her relentless search for answers. This book is the first of a series of books designed to motivate other Christians to think for themselves, to search and see if their beliefs are truly in harmony with God’s Word. She is convinced that truth does exist and that it matters greatly. We just have to search for it. G. Nieves has a Bachelor’s degree in Economics and Master level studies in Communications. She has worked as a journalist for The Miami Herald, among other newspapers, and is an independent writer. She also loves to travel and read historical novels.